Crème Splendide is an intensive cream which provides instant firmness and glow for Skin Instants® showing signs of loss of tone. Cellular oligopeptide of spleen extract will help to firm and tone, whilst the yeast will revitalise your skin. Your skin will feel the immediate effects that the in-depth toning ingredients have on the skin. 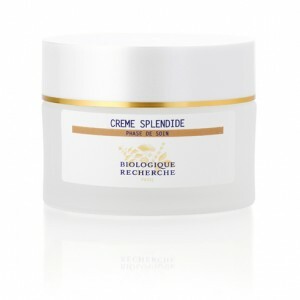 Crème Splendide could also be used as a neck crème and is usually recommended for a more mature Skin Instant®. Skin Instants® that are less toned. Regenerating and moisturising agents: Colostrum, Specific BR Botanical Complex.